The wide-ranging accomplishments of the University’s bachelor of architecture students were on display at the NAAB Bachelor of Architecture Program Accreditation Visit Exhibition. 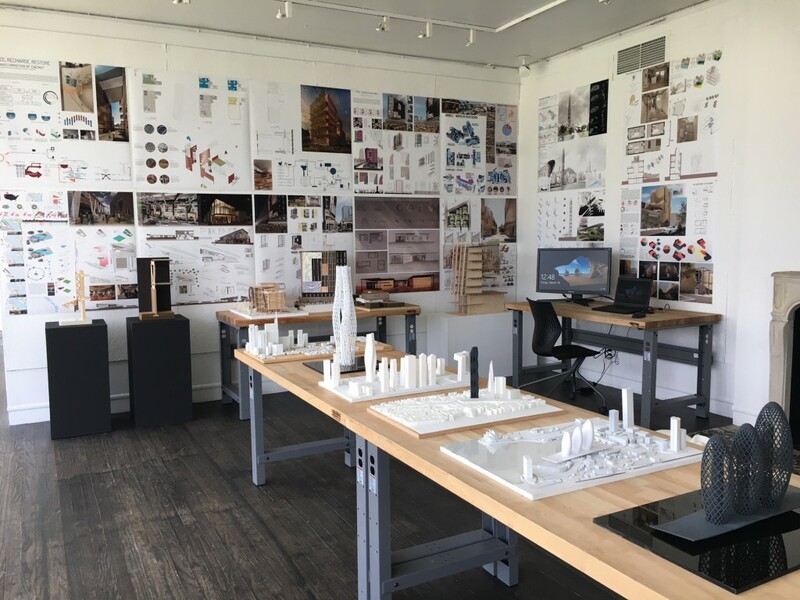 Following two years of intensive review of curriculum and student work, including a major exhibition, the University’s bachelor of architecture program has earned an eight-year term of accreditation from the National Architectural Accrediting Board (NAAB). The bachelor of architecture program at Jefferson (Philadelphia University + Thomas Jefferson University) has been continuously accredited by NAAB since 1997, but the organization requires schools to go through the accreditation process periodically. NAAB accreditation is the primary means by which professional degree programs in architecture assure quality to students and the public, and students must graduate from a NAAB-accredited program in order to become licensed architects in their state. “Under the leadership of Jim Doerfler, program director of the architecture programs at Jefferson, the architecture faculty did an outstanding job in developing an award-winning program that highlights design excellence paired with technical and computational design skills to prepare our students for global practice in the architecture profession,” said Barbara Klinkhammer, executive dean and professor, College of Architecture and the Built Environment. One hundred percent of graduates from the College of Architecture and the Built Environment reported employment in fields related to their career interests or graduate school acceptance, according to the Class of 2017 survey from the University’s Marianne Able Career Services Center.